Manufactured from 1959 to 1961. 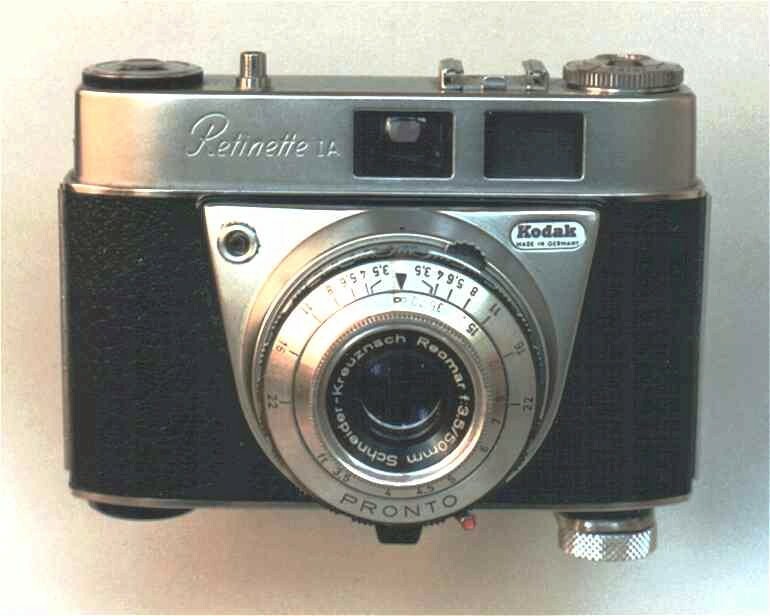 Similar to the Retinette I this model had a simpler "V" shaped chrome pressed metal lens/shutter mount. 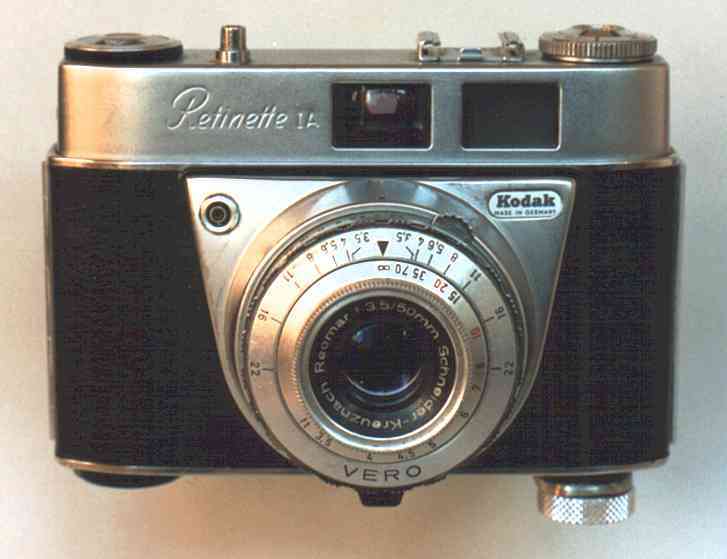 The camera has a Reomar 50mm f/3.5 lens in either a Pronto or Vero shutter. This is the earliest variant, the later types 042 and 044 were very similar but were fitted with a the shorter but faster 45mm f/2.8 Reomar lens. The Retinette 1A must have been a very popular model, certainly they make up the vast bulk of the Retinettes I see these days.